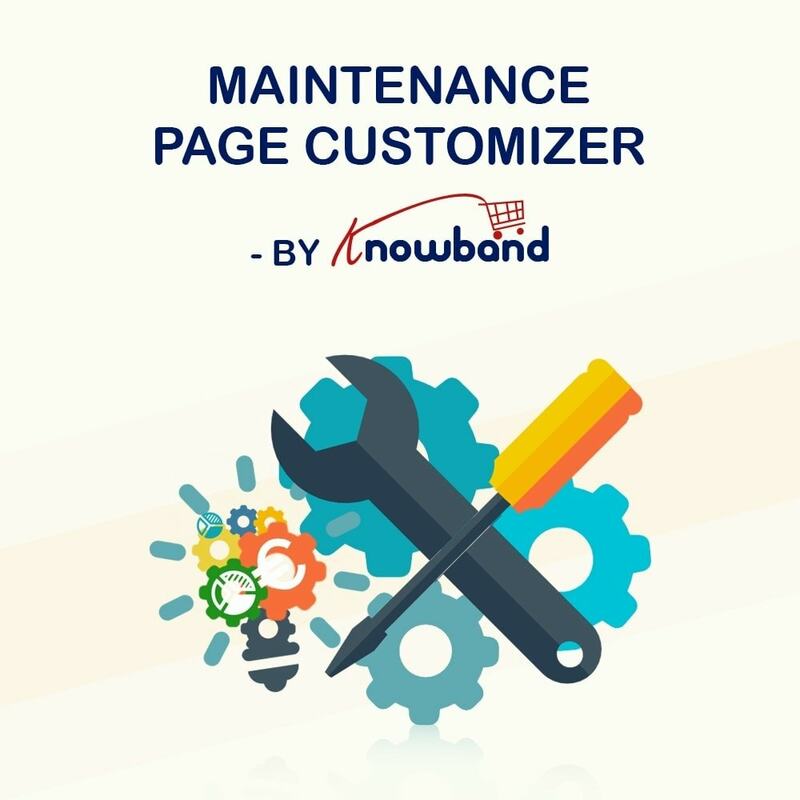 This Prestashop modification page customizer module by Knowband replaces the old PrestaShop maintenance page with a new and better one. A CRON can also be set up to automatically enable Maintenance mode on your store. The Prestashop addon can also integrate a countdown timer to let your customers know about the ending date and time of the maintenance mode. Moreover, the email alert subscription feature is definitely a plus point of this module. This Prestashop error page modification addon integrates a customizable maintenance page to your store. It replaces the old default PrestaShop maintenance page with an informative, engaging, and appealing maintenance page. 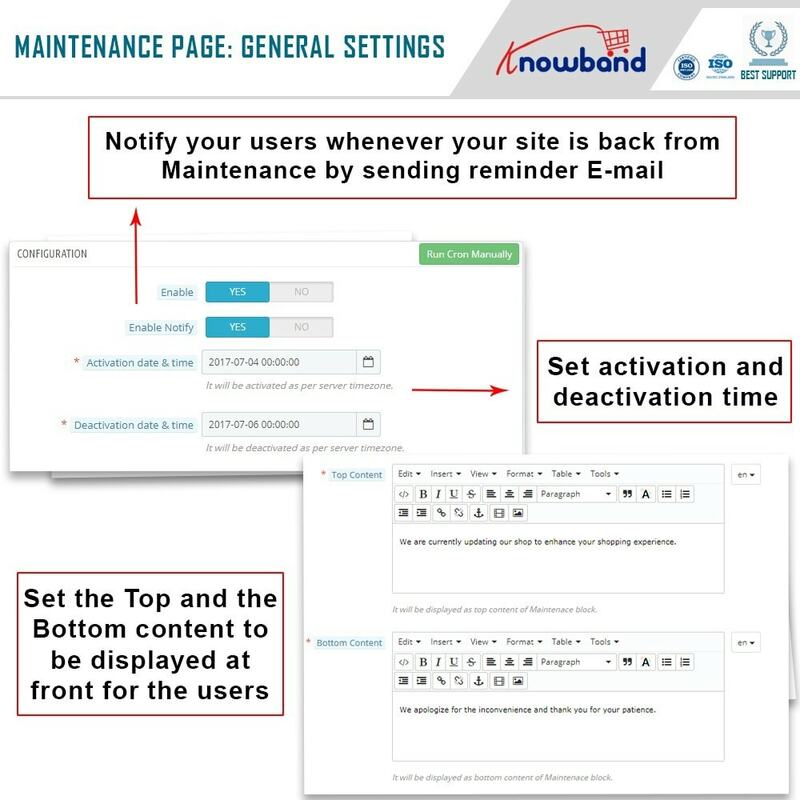 Right from the maintenance page, the customers can subscribe to the email alert. They will be automatically notified once the store is back in the working mode. This Prestashop modification page customizer module is the best way to keep your customers informed even when your site is not live. - The Prestashop module integrates a better maintenance page as compared to the default one. - It helps in keeping your customers informed about your store status. - the addon can be customized to be used as ‘site under construction’ or ‘coming soon’ page. - Prestashop Maintenance page customizer can be seamlessly customized without editing the website files. - The module can be set with a CRON to enable and disable the Maintenance Mode automatically. The module replaces the default maintenance page with a new and customized one. 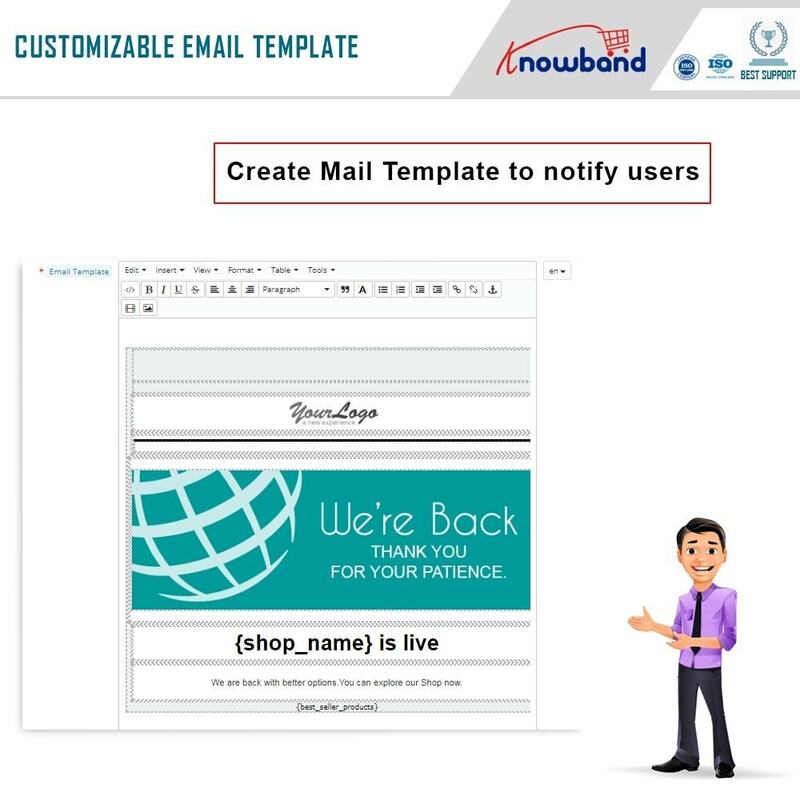 The Option for customers to subscribe to email alerts when the store in back to the working state. The Prestashop store admin can edit and customize the email templates as per their requirements. 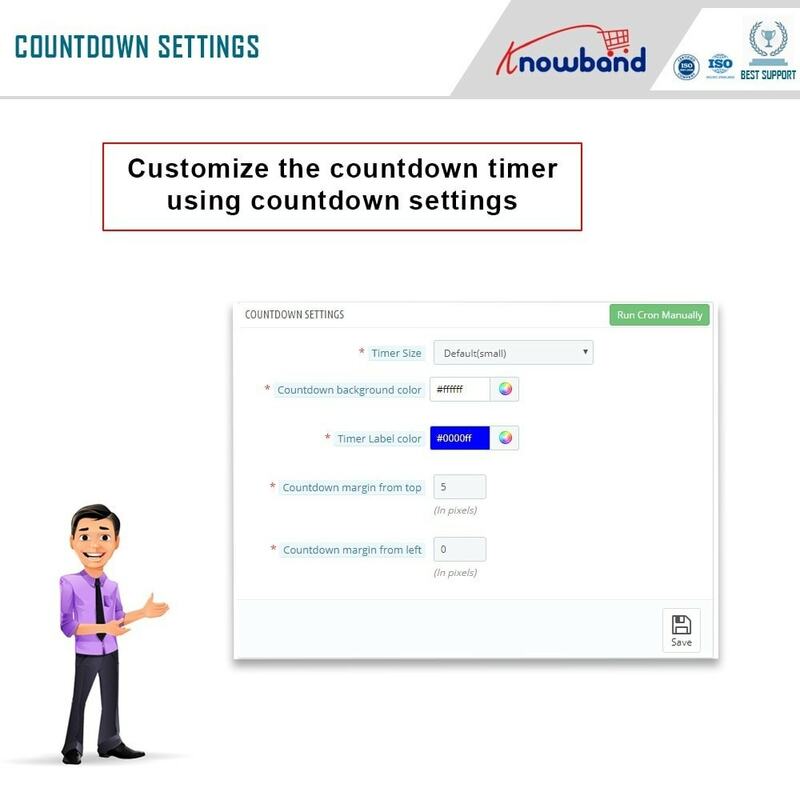 he/she can show a countdown timer to let your customers know about remaining time. The admin can customize the look and feel of the timer by making size, color, and margin customization. The Prestashop maintenance page can automatically enable and disable the Maintenance page using a CRON setup. 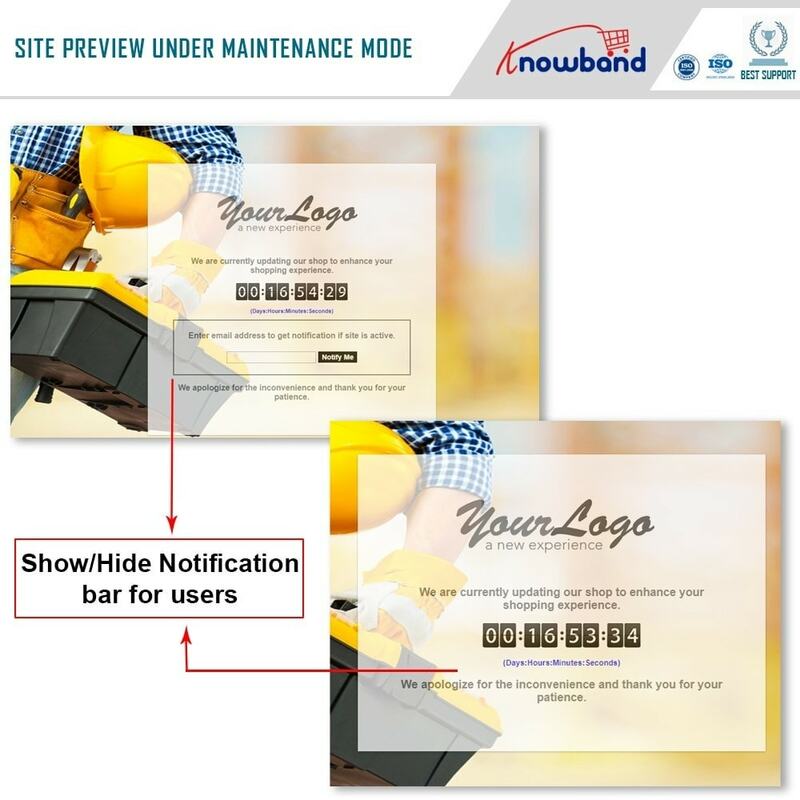 The option to choose activation/deactivation date and time of Maintenance Mode. 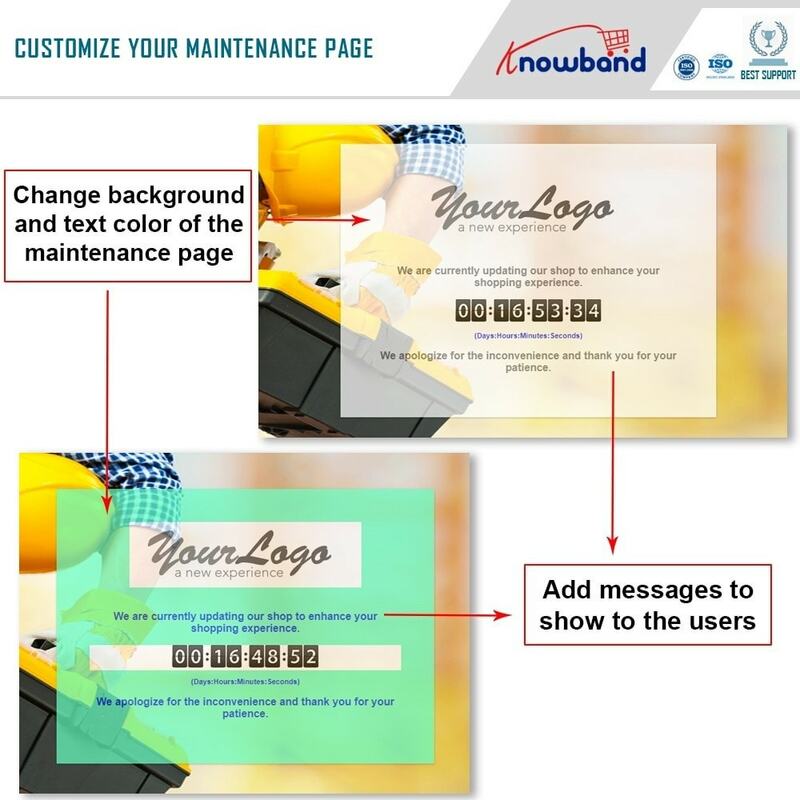 the admin can add custom texts or messages to be shown on the maintenance page. The store owner can add a custom background image or simply a solid background color. 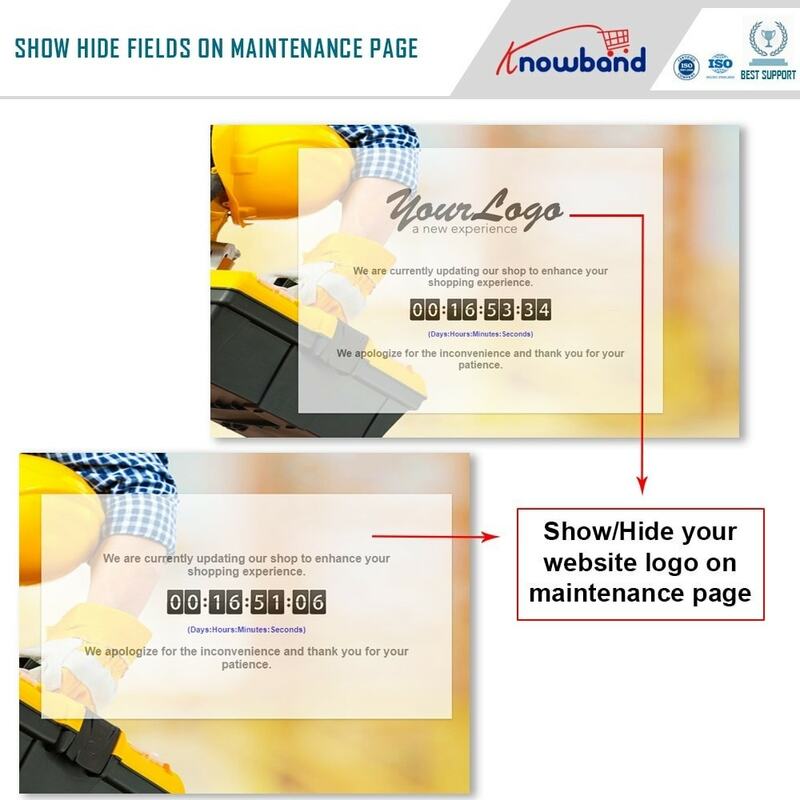 He/she can show or hide the website logo on the maintenance page. 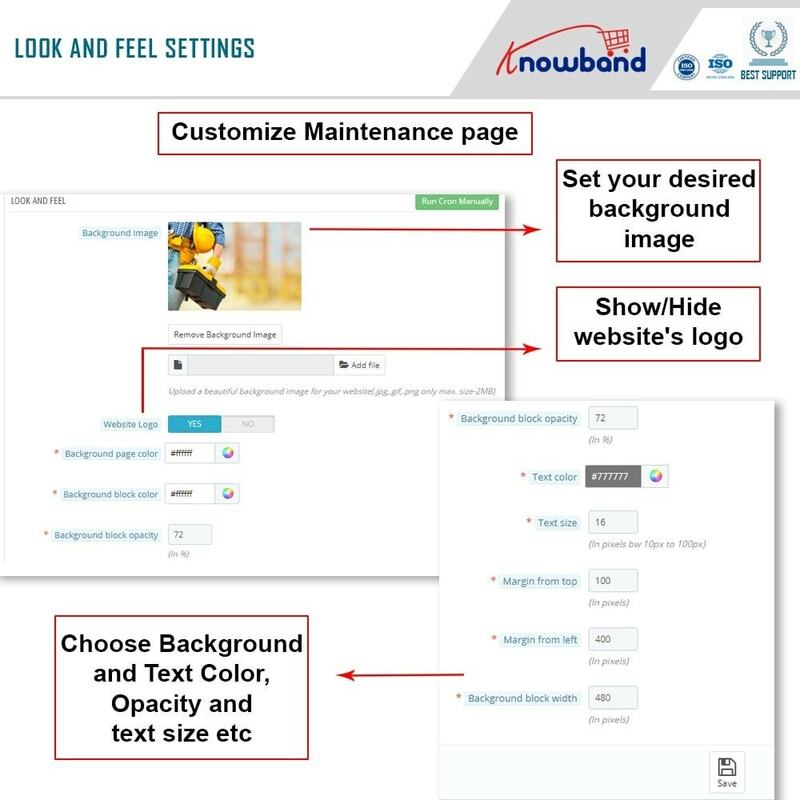 The look and feel of the whole maintenance page can be customized from a single interface. The module is already translated into 17 different languages. Prestashop error page modification is very easy to use, no technical knowledge required. The addon is Multi-store compatible. Its responsive design looks perfect on mobile as well as on desktops. Customers will like the option of subscribing to the email alert when the site is back to live. A countdown timer will help customers to know the time at which shop will be active again. The mobile friendly interface will provide the same appealing UX on mobile as well as on desktops.